Or go out to explore? Would money still be as precious? Or would time be a currency? Would a short life be a curse? My grandfather only lived to 46. If I can only ask him whether he lived a full life. I know at 52, I still have not. Thank you for introducing him to me. He is a brilliant songwriter whose lyrics are deceptively simple yet existential. Playful some times and heartbreaking others. Hope you enjoy :). I would be well dead if that was true. I love living longer as you can reinvent yourself during your lifetime. I am loving writing now. A short lifetime would create many changes; some good but some not so good I think. 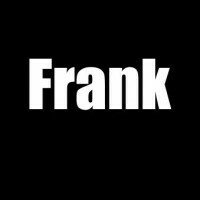 Very good Frank. You have given me material to think about for about two weeks. Let me know if I am successful. There may be a need to find Balance. and numbers matter more to some than other. If we follow what we love there might not be so much change. If we work only for monetary goals I believe the focus would shift. It wasn’t too long ago, we had that lifespan… look at us now. Great poem! It wouldn’t be a curse. People need to quit entertaining immortality with their materialism and measures of success. Good point, Frank! Something to ponder! You’ve got 999 days left to live — GO! Wow! This was very thought provoking! I think a long life is a curse for sure and I lived longer than I ever anticipated. A long life without fulfillment is definitely harsh and unnecessary. I have harsh views on that anyhow, but I don’t care if anybody understands or not. thought provoking. love it. i’ll think about this one. I’ve spent far too much time chasing money and material possessions…. at least I’ve figured this out later in my life. Never too late to change.